It is safe to say that most parents have dreams and aspirations for their children, besides being healthy and kind, teaching our children commitment and hard work were important to us. Our oldest son usually followed the lead of his twin sister; that is until we enrolled him in boxing. It was after a few classes that he began to thrive, he was working towards a goal and striving to be better. It became a partnership between us as parents and his coaches, working hard every day to support him to be a better student and a better boxer. He was being challenged and pushed to give his best, all while being encouraged and believed in. His self-confidence was at an all-time high. 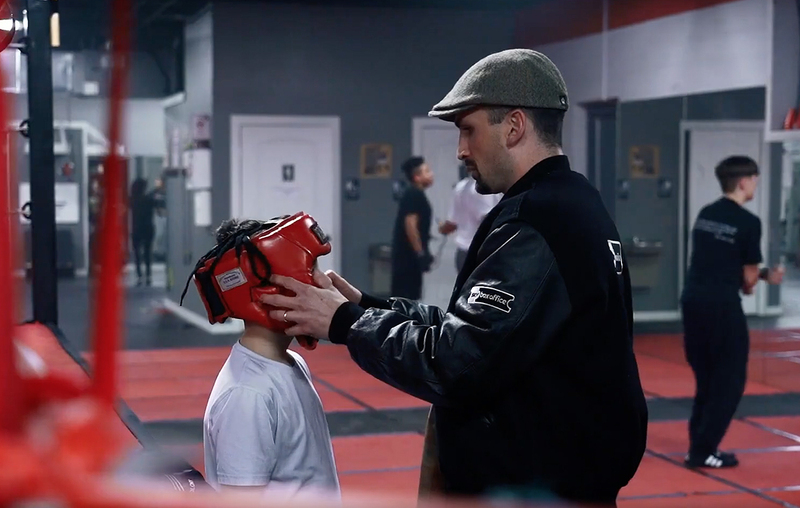 He was not only learning to box, he was learning to focus, listen, and motivate himself to be better. His self-confidence was at an all-time high. He was not only learning to box, he was learning to focus, listen, and motivate himself to be better. When our daughter expressed interest in boxing, I was reluctant to say the least for a variety of reasons. True to her nature she was quick to show me that I should have never doubted her. Boxing has shown how competitive and tough she is, but there is something better than us, as her parents, knowing how tough she is, SHE KNOWS HOW TOUGH SHE IS. We know that because of boxing she will never give up on anything, it has taught her far more than how to punch. I will never forget the first time either of them were in the ring, there is such a range of emotions that flood you as a parent watching your child fight. I have watched them push through tears and as their eyes light up when they do something right. Sometimes it feels like they learned so quickly the fundamentals and footwork necessary to succeed in the ring, but I know the hard work every day that they put in. This program, this gym is unlike anything you can find anywhere and I am so grateful that we found a home here. I have no doubts that God put my family at Ring of Hope, I could not ask for a better boxing program. This program, this gym is unlike anything you can find anywhere and I am so grateful that we found a home here. Wherever the future takes us I know they have an amazing support system and that they are in it together, fighting side by side.